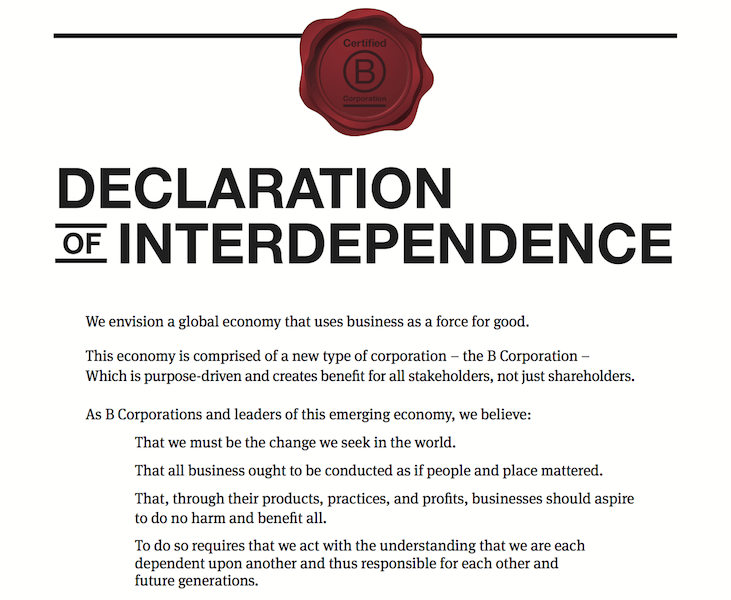 Individually, B Corps meet the highest standards of verified social and environmental performance, public transparency, and legal accountability, and aspire to use the power of markets to solve social and environmental problems. We want to contribute and have started to with the comprehensive assessment. A challenge worth taking. Kerstin will navigate us through this process as certified B Leader. Today, there is a growing community of more than 2,100 Certified B Corpsfrom 50 countries and over 130 industries working together toward 1 unifying goal: to redefine success in business. Here some principles which we already wholeheartedly guy into.